Recipe for Restaurant-Style Buffalo Wings Whether it’s dinner with the family, a social gathering, or game night with friends, chicken wings are a simple and delicious choice that anyone can make at home with just a few ingredients and a little prep time. Â Ingredient List: Â 10 chicken wings Â½ cup flour Â¼ teaspoon paprika Â¼ teaspoon cayenne pepper Â¼ teaspoon garlic powder Â¼ teaspoon onion powder 4 tablespoons unsalted butter Â¼ cup hot sauce Â¼ teaspoon ground black pepper Pinch of salt Â Cooking Directions: Â Â In a small mixing bowl, combine the flour, paprika, cayenne pepper, onion powder, and salt. Sprinkle or toss the chicken wings in this mixture until they are evenly coated, then place them on a dish, cover it, and refrigerate the wings for about an hour. This waiting period is the key to making the flour mixture stick to the wings so that it doesn’t fall off during the frying process, so don’t skip it! 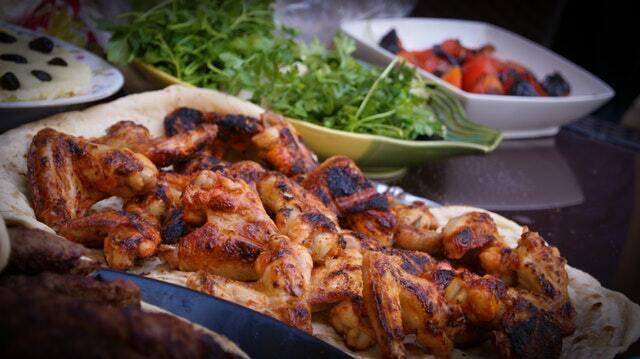 Â Once the wings are almost done refrigerating, begin heating your frying oil to 375 degrees (190 degrees Celsius). The exact amount of oil depends on the size of your pot: the goal is to cover the wings completely while they fry, which generally means the oil should be about an inch or so deep. Â While the oil is heating up, begin the wing sauce by melting the butter in a separate saucepan. Add the hot sauce, garlic powder, and pepper to this mixture and cook over low heat. When the ingredients are well-mixed and slightly thickened, remove the saucepan from the heat and set the sauce aside. Â When the oil has reached 375, carefully add the chicken wings and fry them for about 12-15 minutes, until they are a nice golden brown color. Remove them with a slotted spoon to drain off excess oil, and then toss the wings in the sauce mixture. Serve immediately while they are still hot, preferably with ranch or blue cheese dressing and celery on the side. Â For a slightly healthier alternative, these wings can also be baked at 400 degrees (200 degrees Celsius) for about 45 minutes instead. Remember to turn the wings over halfway so that they cook evenly!